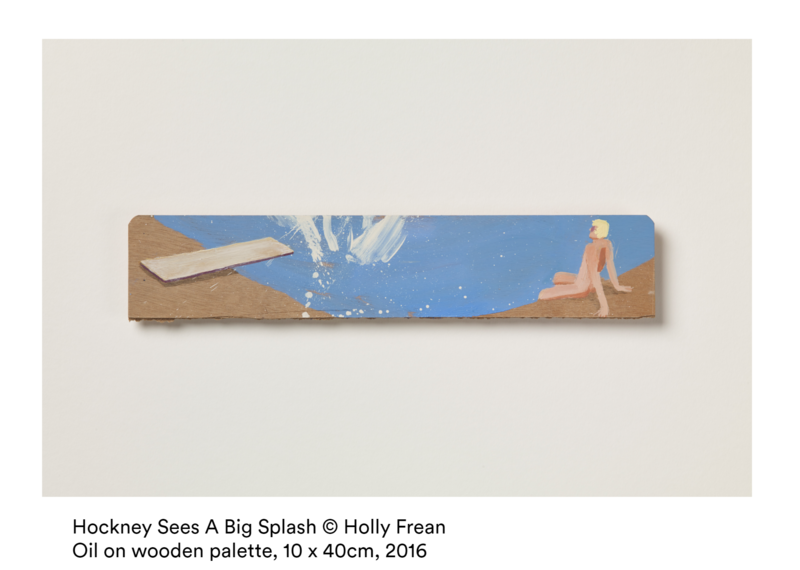 In the latest instalment of our 'Artist Spotlight' series ACS artist Holly Frean discusses her approach to working with oil paints, and how engaging with her artistic predecessors and viewing historic collections inspires her vibrant and playful work. 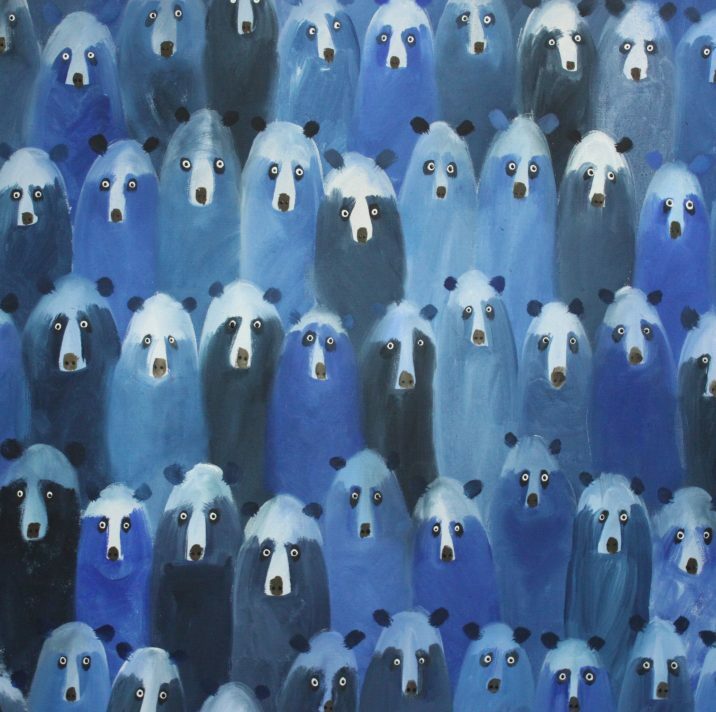 The artist also tells us more about her recent 54-painting project which depicts an eclectic A to Z of animals from aardvark to zebra in Noah's (or Holly's) Ark, currently featured in her new solo exhibition on display at the Zimmer Stewart Gallery this month. (1) Oil colours and mediums do exactly what I need them to do and I get the texture and translucency I want from them. I have tried alternatives as I’m aware oils are neither the healthiest nor most eco-friendly paints to use…but they are the best for the job. They also smell delicious and are a tiny bit addictive. (2) There is a direct channel of communication when you paint. It enables you to transmit multiple messages from human to human, artist to eventual viewer. It’s a slippery feeling however; it’s not as literal and immediately rewarding as eg. reading a cartoon one-liner or an illustration as there’s usually nothing obvious for the viewer to ‘get’ in a painting. It can be something intangible and elaborate that hasn’t made up it mind yet, a very human set of thoughts and feelings I guess, with enough visual bait to bring you in and keep you curious. It is possible to have a one-to-one with other artists through their work if you’re open to the idea. If you spend enough time with a painting you begin to decode brush marks and understand all kinds of things about the artist, from their decision-making process to their state of mind and what makes them laugh or cry – because it’s very difficult to lie about these things when you’re painting. The best paintings always hold one or two secrets to keep us coming back for another look – maybe that’s what artistic genius is. For some artists (just think of your favourite old master painting in the National Gallery) this is an innate skill so they just can’t help it, the rest of us have to work at it. I’m a Londoner and extremely lucky to be a shortish bus ride away from some of our best public art collections. My current favourites are the National Portrait Gallery and Dulwich Picture Gallery. I love looking at collections of unusual things; the Wellcome Collection, the Victoria & Albert Museum, Horniman Museum, Wallace Collection and Hunterian Museum all hold a special place in my heart. I rarely escape The Smoke but when I do I try and see something new. I discovered the Bowes Museum up in Durham the other day and positively wallowed in there for hours soaking up a treasure trove of visual and historical wonders. I spend far too much time on social media but I’ve convinced myself it’s important to see as much of the world as possible in a day. I subscribe to a small pile of magazines and I collect obscure postcards related to whatever I’m working on. I arrange these into plastic sleeves and have a flick through if I need inspiration or grounding. I am making packs of cards at the moment. Each deck has a different theme and each card shows a portrait of someone – British Kings and Queens, notable women artists, portraits I love from the Metropolitan Museum of Art in NY, Andy Warhol’s self portraits, Picasso’s portraits of women, to name a few. My current card packs are collections of animals and the one I’ve just finished features silhouettes of animals from the story of Noah’s Ark. I made the first set for a wallpaper project with the interiors team at Andrew Martin and have tweaked that version to include a wider range of creatures. I spend a long time trawling through books and the web to find a series of images to base my animals on and selecting what should be included. I make hundreds on one theme then edit down to 54 cards, 52 two cards plus jokers. The painting itself takes two or three days. When the ink is dry each work is attached onto a small foam block, arranged in a grid and mounted onto archival board in a specific order. This is the fun part as I can move things around until the picture feels right. Framing is crucial and can make or break a picture. My advice would be never to skimp on framing. My first oil painting was a sitting portrait of a retired ballet dancer called Monty, who posed for us at the Slade for a week. I remember thinking I’d like to be as supple and stretchy as him in my eighties! I remember his face so clearly, he was so zen and serene with wrinkles that told his life story. He wore a pale pink shirt with sleeves rolled up and white shorts. I painted a triptych of Monty in profile against a white wall background. For some reason I brushed a dot of black in the space above his head every time he cleared his throat. As a result there is a little cloud of painterly splodges next to his head. I was using oil colours for the first time and a piece of plywood to mix my colours and painted most of it with a palette knife. I had a profound feeling of ‘this is it, this is how I want to work’. 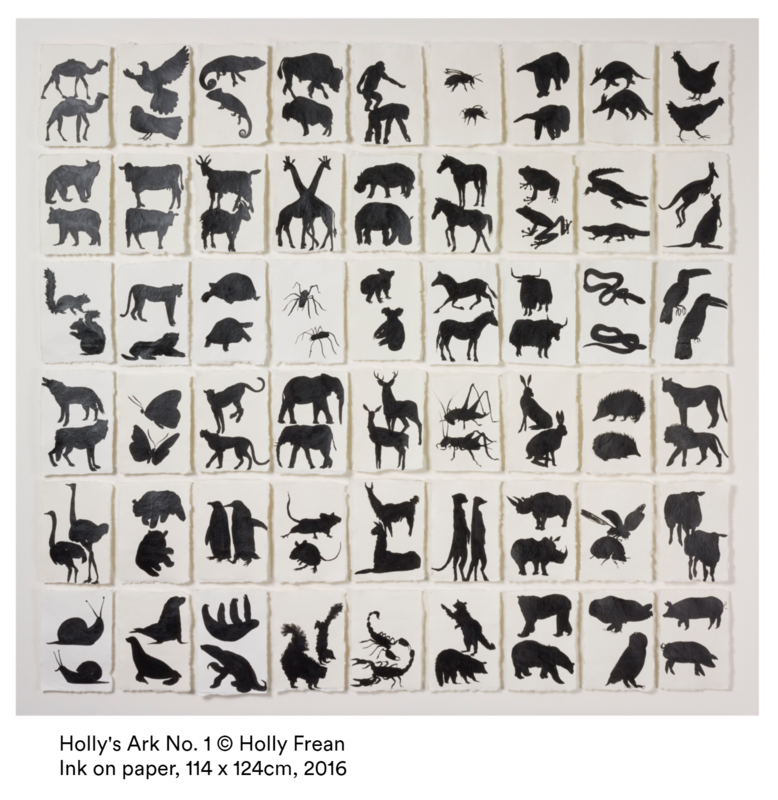 The exhibition ‘Holly’s Ark’ is on display at the Zimmer Stewart Gallery in Arundel, West Sussex between 3 – 24 November 2018. For more information, visit the gallery website here. 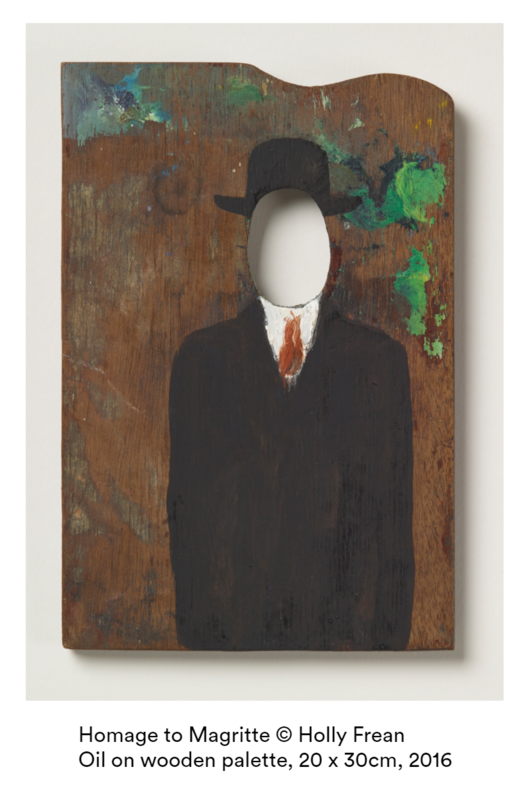 Holly also presents a series of six paintings on reclaimed wooden palettes, which play on work by Old Master artists such as Michelangelo, Titian and Rembrandt, in the ‘Winter’ collection at The New Craftsmen in Mayfair, London. Find out more here.